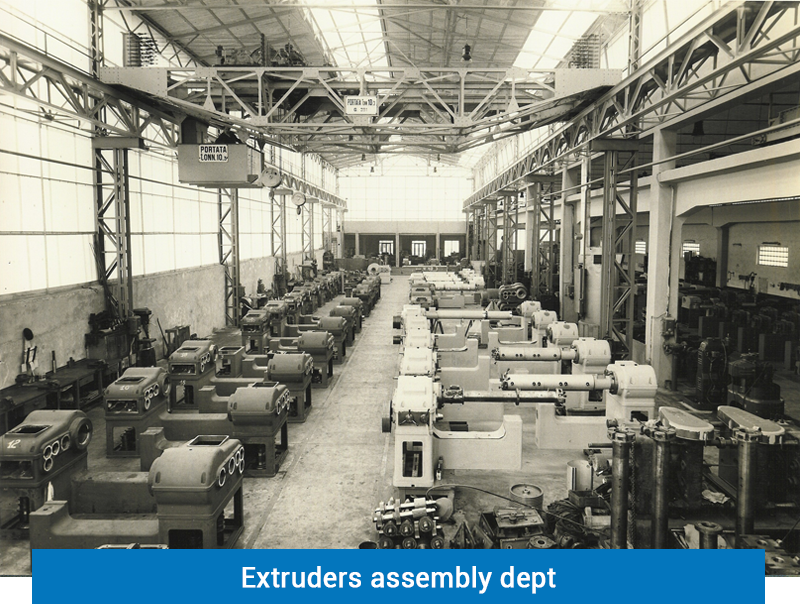 The history of extrusion in Italy started with Luigi Bandera during the Second World War, with the manufacture of the first extruder: a 60 mm screw for the extrusion of PVC pipes and profiles. An authentic, innovative idea for the time. 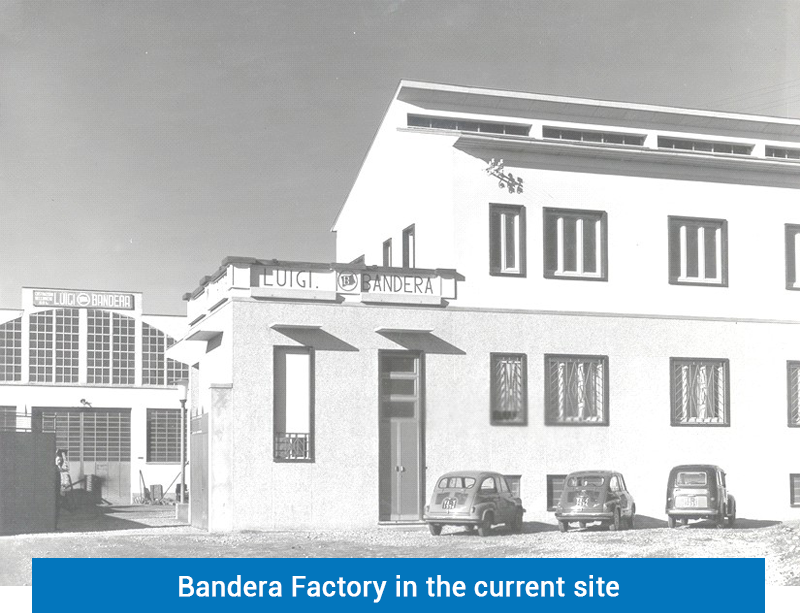 In 1947 Luigi Bandera officially established the company, which quickly expanded, thus actively contributing to the plastics processing industry in Europe. 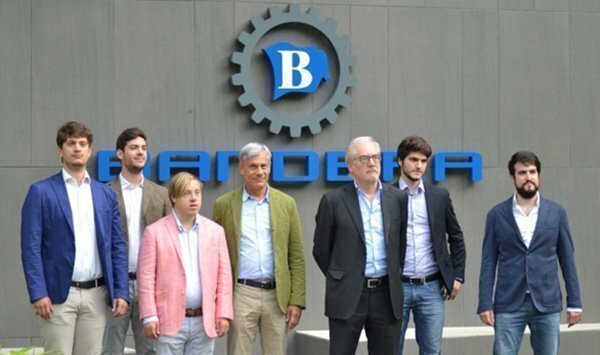 Bandera activities underwent remarkable expansion to reach an industrial scale production, offering a wide and diversified range of extrusion products, such as pipe extrusion lines, extrusion equipment profiles, sheet extrusion lines. Opening of The House of Extrusion®, 3000 m2 housing R&D activities and wet tests on complete production lines. 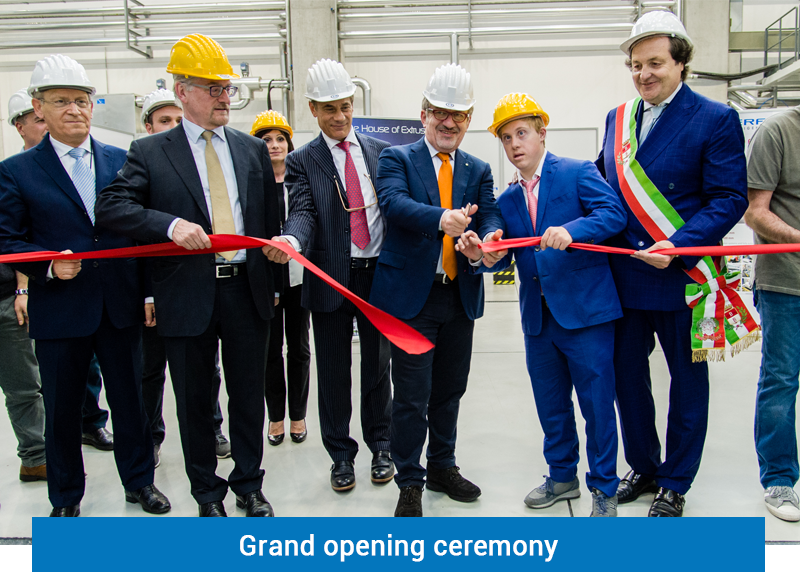 Thanks to that and to the recently renewed laboratory, EA – Extrusion Academy®, Bandera oversees the whole process: from research to industrial scale up. Franco the founder’s sons, has two main goals. 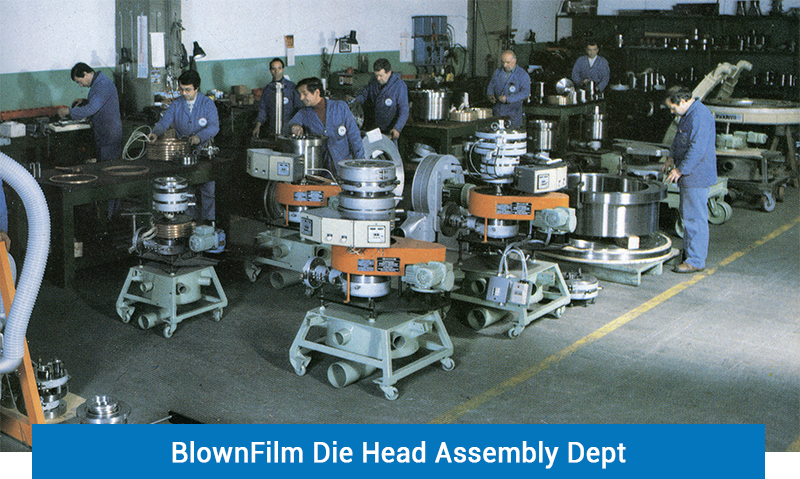 Focussing its product range on blown film and foil & sheet extrusion lines, and extruders for pelletizing. Focussing on customers’ needs, thus offering a tailor-made engineering service together with an after sales global network through a capillary presence worldwide. Honesty, directness, respect are the main ingredients of our everyday life. Our founder Luigi Bandera used to say the essential asset held by his company is people and their value. This powerful thought drives us in our daily approach to business and innovation. We listen, don’t just hear. We watch, don’t just see. We create, don’t just make. 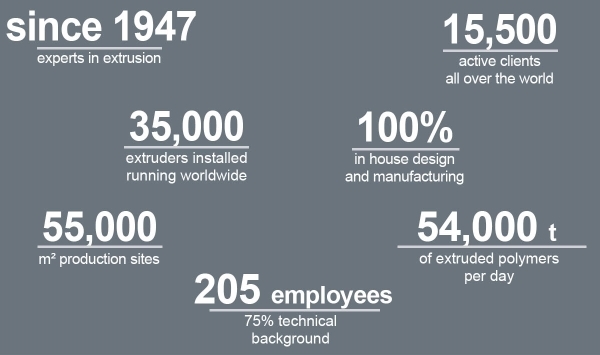 Our numbers summarise what our long term expertise, know how and innovative approach really mean. Although we are an international company, we remain firmly rooted in the Made in Italy tradition. We develop and build unique tailor made solutions to meet our customers’ needs precisely and support them from engineering to installation and after sales. 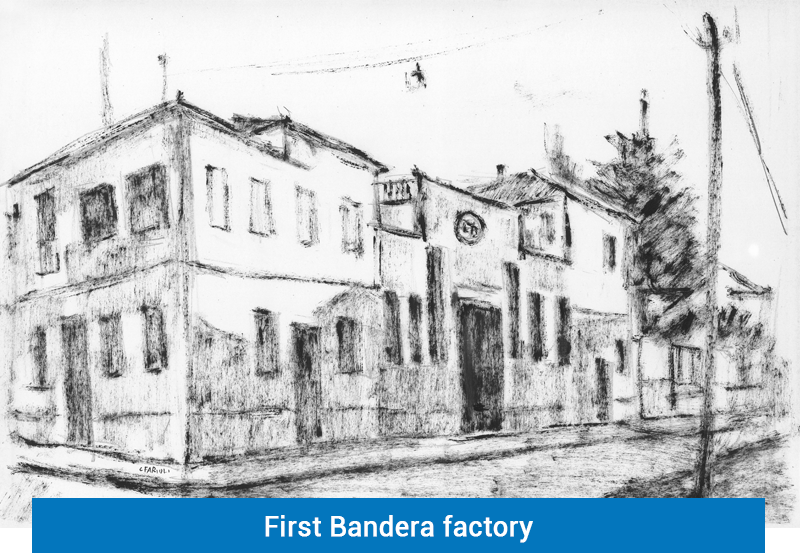 Bandera’s mission is to establish itself as the most important centre for extrusion in Europe and a worldwide leader. 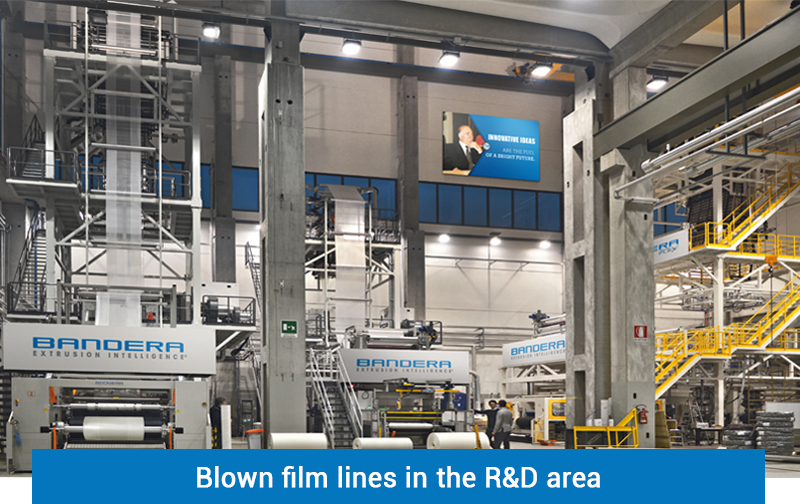 Keeping a strong focus on manufacturing production lines featuring state-of-the-art technology for plastic materials in the Blown Film and Foil and Sheet sectors, will make us the pioneer of extrusion in the future. 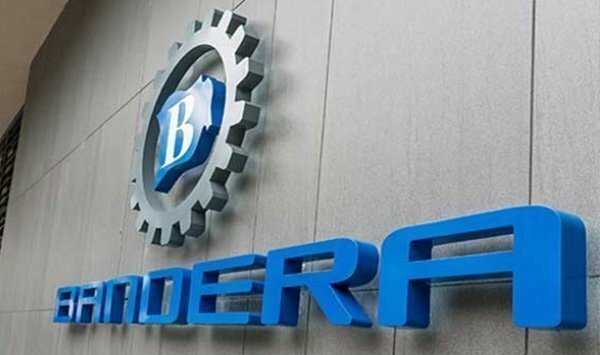 Building on innovation, ensuring technical assistance on process issues as well as on problem solving and exceeding the customers’ expectations is the reason why you can rely on Bandera. Would you like to be contacted for more information and to receive our company profile in pdf? 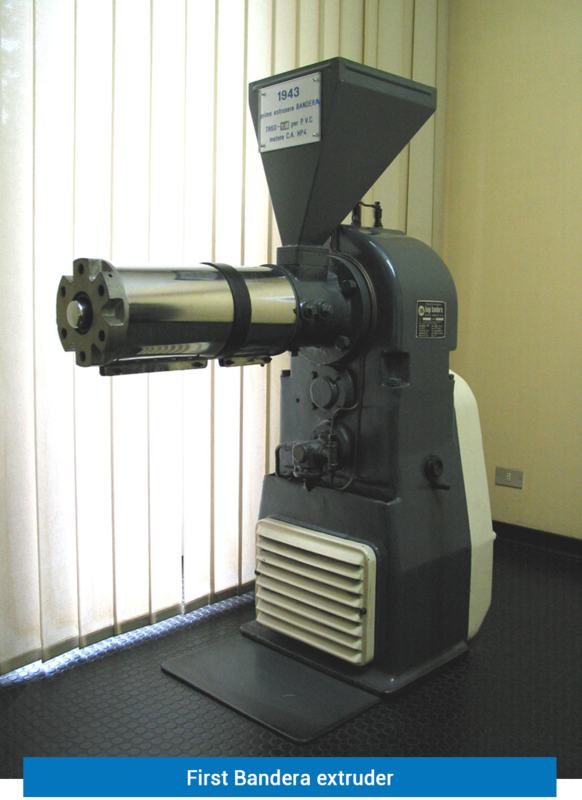 You will immediately receive our company profile in PDF on your email address.